Volunteering abroad as a teacher is a rewarding experience that allows you to make a real difference in the lives of South East Asian children. The program is open to all volunteers including those in high school or college, on a gap year, or looking for a career break.. No previous teaching experience or language certifications are required and you don’t have to need to speak the local language; all that is needed is a desire to teach! South East Asia provides an exciting setting where students are eager to learn and benefit greatly from the efforts of volunteer teachers. Whether you are interested in teaching English or teaching French, a variety of placements are available in the South East Asian nations of Cambodia, Thailand and Vietnam. Projects Abroad volunteers work in both primary and secondary schools, and have the opportunity to collaborate closely with both teachers and administrators. 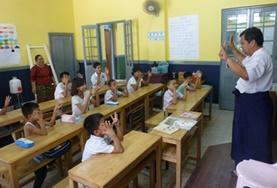 Teaching in South East Asia is sure to be the experience of a lifetime. Schools range from the well-equipped to the poor and understaffed. Regardless of your placement, the smiling, eager faces of your students will be same everywhere. You will be surprised how the mere presence of a volunteer in the classroom can incite student’s curiosities and inspire them to learn. Teaching abroad enables you to gain communication skills and workplace experience while stimulating your personal and professional development. Moreover, you will leave feeling that you have truly made a difference in the lives of South East Asian students. 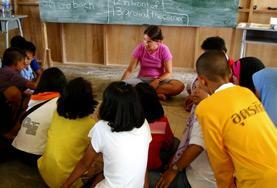 Volunteer as a teacher at a monastery-run school in the rural area of Dala. Here, your focus will be on teaching English through arts and crafts, music, drawing, and educational games. 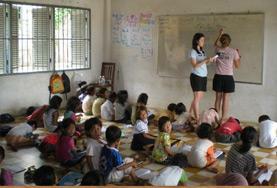 Live and work in tropical Thailand as a volunteer teacher. You will be based in one of our partner schools, teaching in elementary schools or middle/high schools. 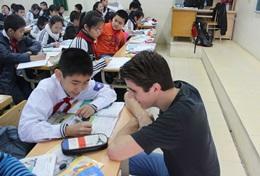 Volunteer in Vietnam and teach conversational English in Hanoi. We work with a number of different establishments, including elementary or secondary schools, or a college hospitality department. 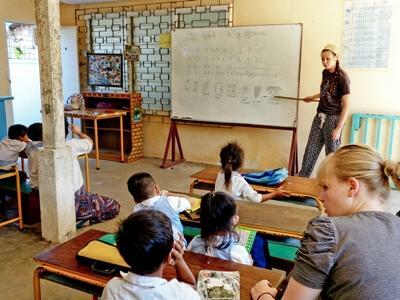 Volunteers who speak French can teach the language to students in Vietnam, helping to improve their conversational ability and raise their confidence in expressing themselves. Volunteering on a Sports Project near Hanoi is an ideal way to share your passion for sports with local children and teenagers. 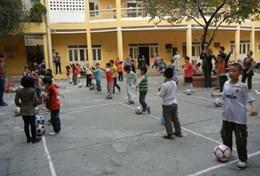 Football and basketball are the most popular sports taught in Vietnam.